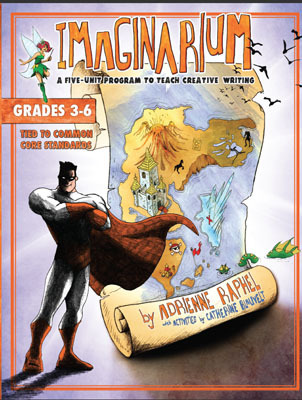 Dr. Adrienne Raphel is the author of the teaching guide Imaginarium, a creative writing program for middle-grade students. A poet, Adrienne is the author of What Was It For (Rescue Press), winner of the Rescue Press Black Box Poetry Prize, and the chapbook But What Will We Do, winner of the Seattle Review Chapbook Contest. She is currently working on a book about crossword puzzles. 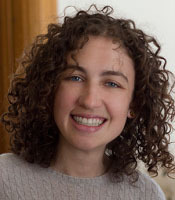 She writes for The New Yorker online, and her work has also appeared in the Features section of the Poetry Foundation, The Paris Review Daily, The Atlantic online, and Lana Turner Journal, among other publications. She is a poetry editor at Company Journal. Adrienne earned a A.B. at Princeton University, an MFA from the Iowa Writers’ Workshop, and a PhD in English at Harvard University. Currently, Adrienne teaches writing at Princeton University.